From reviewing five years of accounts receivables, to sending out the mandatory pre-suit demand letters required by Florida's PIP law, to aggressively and expertly representing you in litigation, our firm provides unparalleled skill and knowledge and does so for free. That's right. Florida law requires an insurance carrier who loses a lawsuit to pay the winning party's attorneys fees and costs. If we aren't the winning party, we don't get paid period. It's a high risk, high reward industry that motivates our firm to put forth maximum effort on every single matter. The Bradford Cederberg firm, Ms. Bradford and Rob Bartels are all AV rated by the Martindale-Hubbell Law Directory rating system. Martindale-Hubbell has been a respected source of authoritative and dependable information about members of the legal community in the United States, Canada and throughout the world for over 130 years. The AV rating is awarded only after Martindale-Hubbell solicits confidential opinions from members of the bar and the judiciary on the legal ability and ethics of the attorney being reviewed for a rating. The "A" rating means that the attorney scored "very high to preeminent" in the category of "legal ability" while the "V" rating means that the attorney scored "very high" in the category of general ethics. 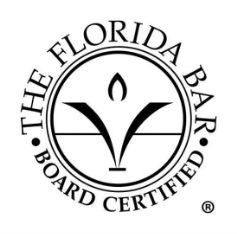 The AV rating is the highest rating awarded by Martindale-Hubbell and reflects an attorney who has reached the height of professional excellence.